Some of today’s gas grills come equipped with a metal smoker box that sits on top of a dedicated burner. Just turn on the burner and add as many damp wood chips as you like. You can control how quickly they smoke by turning the knob of the burner higher or lower. Some of the boxes have a separate compartment for water, which will provide a steaming effect on the food, too. If your gas grill doesn’t have a dedicated smoker box, you can purchase a heavy-gauge stainless steel smoker box to sit right on top of your cooking grate. 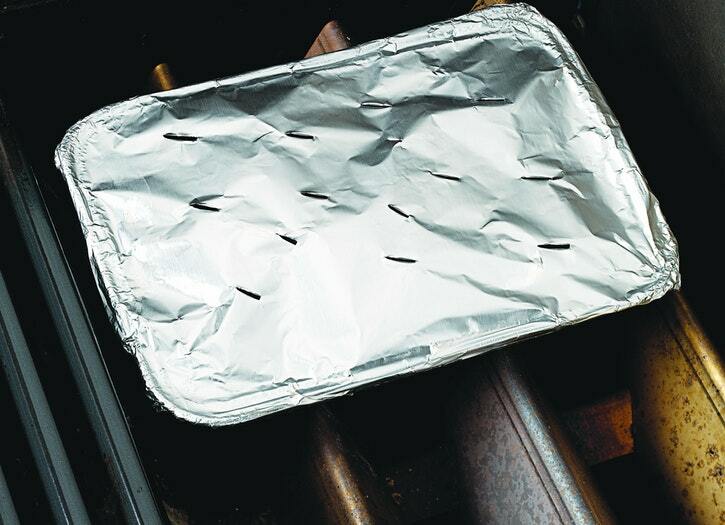 The metal will conduct the heat of your grill to the soaked wood chips you pile inside the box. The holes in the lid will direct the fragrant smoke over your food. 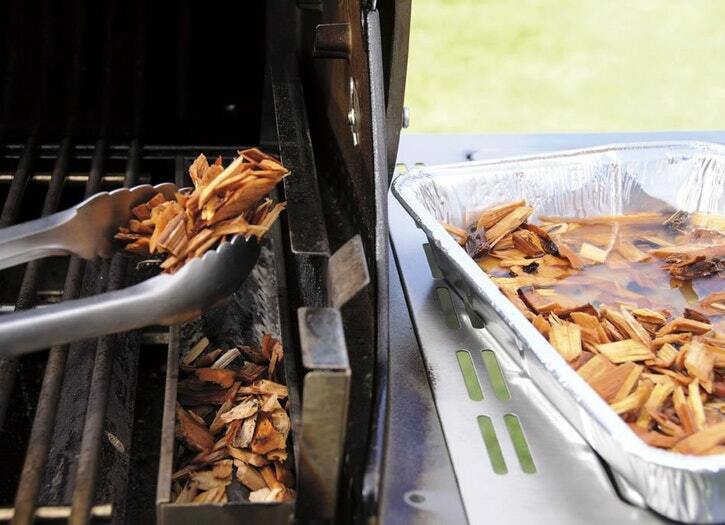 When the wood chips have burned out, you can simply open the lid and add more, if you like. You can also make your own smoker box. Here’s how: Place drained wood chips in a foil pan, cover with aluminum foil, and poke holes in the foil to allow the smoke to escape. Place the pan directly on the bars over an unlit burner or two, preferably in a back corner. Put the cooking grates in place. Turn on the grill, with all the burners on high, and close the lid. 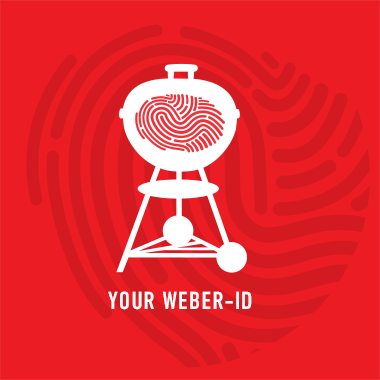 When smoke appears, begin cooking your food, adjusting the temperature of the grill as needed. You can’t add more chips to the pan, but at least it’s a start.